A day’s shooting at Downton is a day to remember, the shooting is challenging even for the most experienced gun. The central feature of the Shoot is the classical Downton Gorge, where guns stand on the banks of the rushing River Teme, below sheer 30m high cliffs with woods above over which the pheasants fly. A feature of the Downton Shoot is the consistently high quality throughout the day’s shooting. The high fast birds presenting a challenge even for the most experienced guns. It is this challenge set in spectacular countryside that keeps many parties of guns returning year after year. 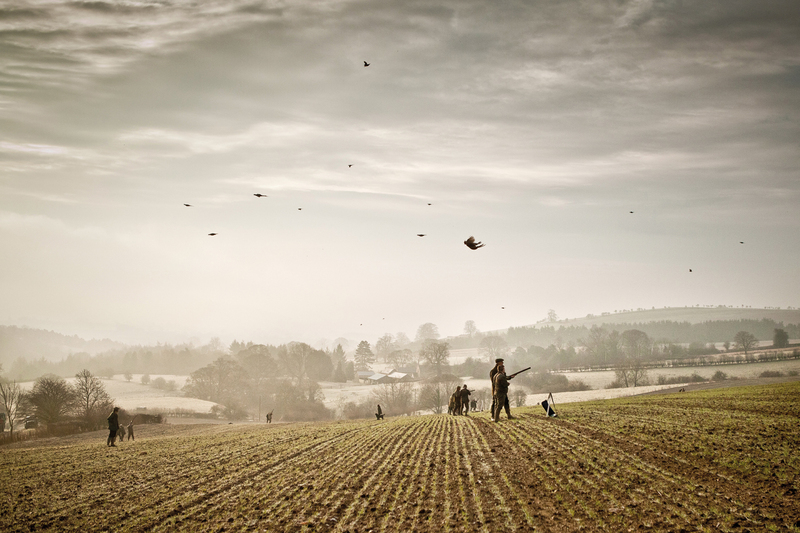 From being greeted at the Shooting Lodge at the beginning of the day to the presentation of oven ready birds at the end of the shoot, the quality remains the same with attention to detail to ensure that all guns are in the shooting on every drive. The day’s shooting is complemented by the standard of the lunch and the comfort of the Shooting Lodge with a huge open fire and attractive surroundings and many have commented on the friendliness of the shooting staff and how welcome they were made during the Shoot.